Raiders member Stave I. submitted this photo and caption. In 2009, Phantom Regiment housed at my high school before going off to compete at the DCI Eastern Classic in Allentown. Being a huge Phantom fan, my assistant band director really wanted a picture with their drum major, Koji. 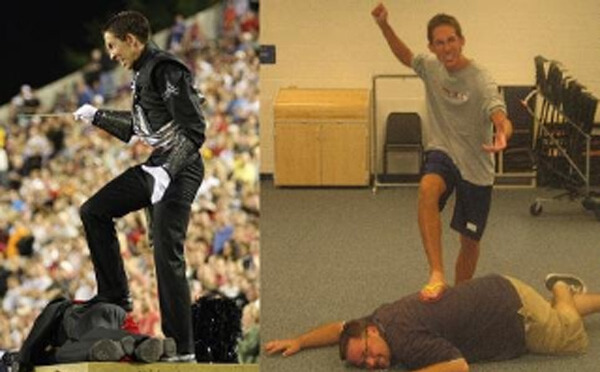 He only saw it fitting if they'd reenact the famous drum major scene from their 2008 show (reenactment on right, Finals scene on left).